The real estate agency AE Schmid SA is pleased to inform you that it is developing its activity by creating a high-end department dedicated exclusively to the sale, rental and research of exceptional properties. 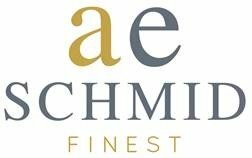 AE Schmid Finest will meet the demands of a demanding national and international clientele. Mastering the most technical aspects of real estate, including tax and legal, and speaking no less than six languages ​​within the team, ranging from French to Mandarin, brokers can guide and advise in the best conditions buyers and sellers. Offering a personalized service and preaching discretion, it is with your eyes closed that you can entrust your property or your most specific research.